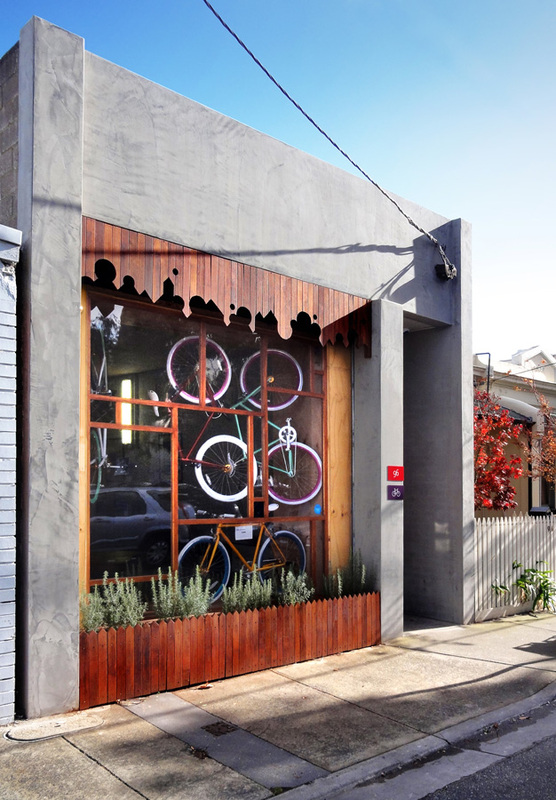 An interior fitout and new facade for a brick warehouse in Richmond which was to function as a design studio and bicycle display space. 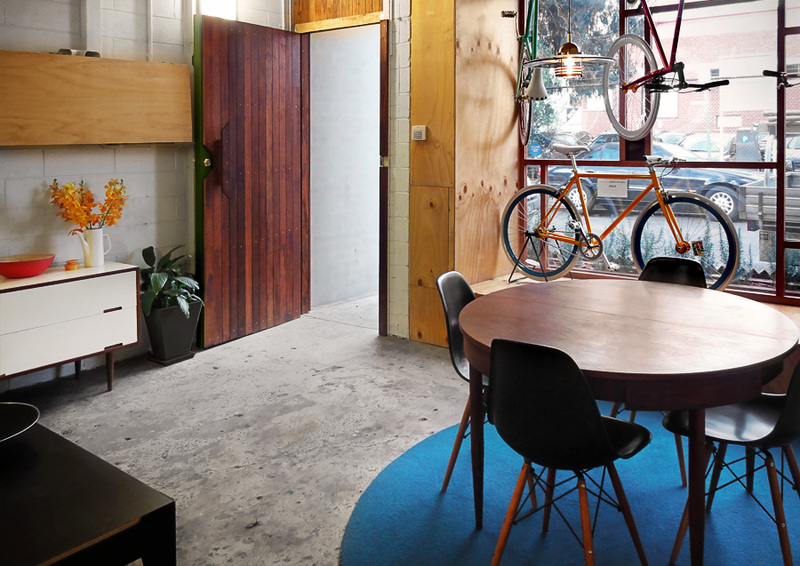 A mondrian window replaced the existing roller door, framed by a playful timber trellis and picket planter. 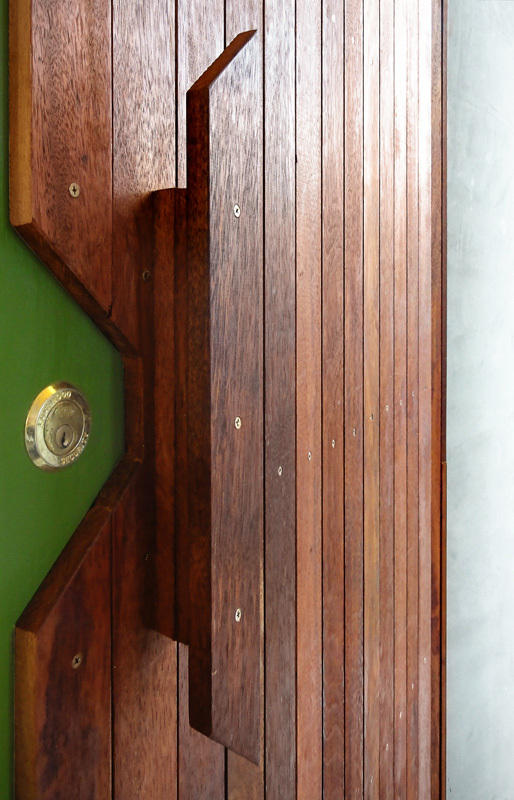 Initially a nod to the adjoining Victorian row house detailing, the timber trellis evolved into a playful gesture with overtones of a city skyline or computer game landscape. 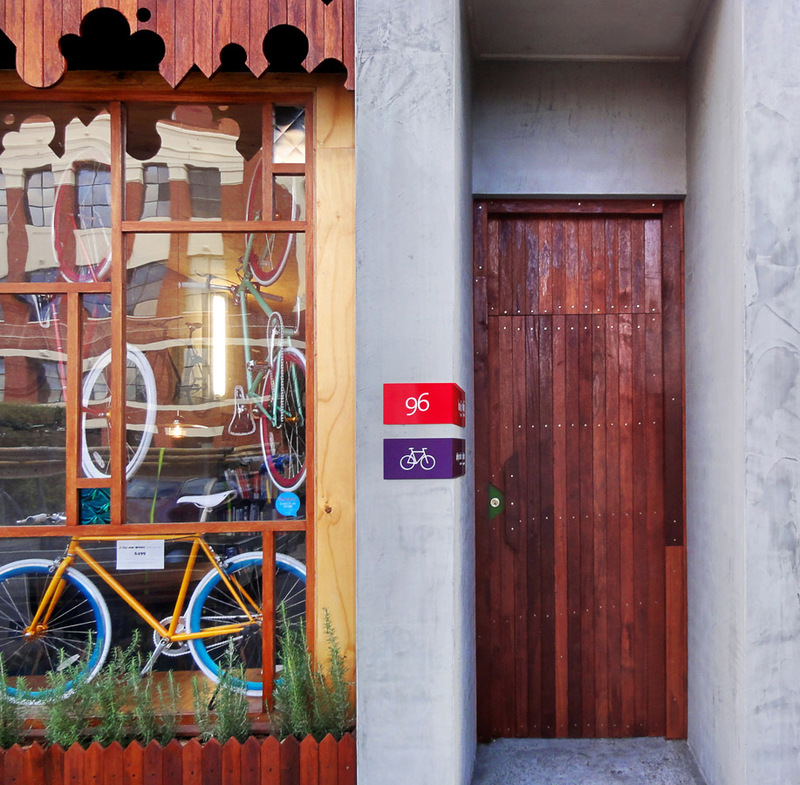 Internally, timber and plywood panelling create a backdrop for the rainbow bikes hanging in the window.